A few weeks ago, I was invited to give presentations at a couple of Ministerial events in Edinburgh about community engagement in planning. 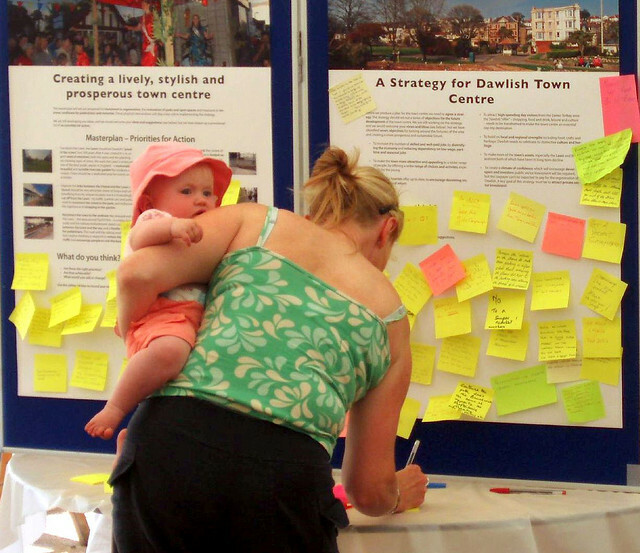 One was a seminar about how to engage communities in controversial planning issues; the other was a meeting of the Scottish Parliament’s Cross Party Group on Architecture and the Built Environment which asked the question: community engagement in planning – is it working? Using examples from my own experience, I focussed on three themes which I think are fundamental to good community engagement in planning. Planners and designers still expect the public to come to us – to our events, at times that we choose, and to communicate in our language. Whether we work in the public or private sectors, we must make more effort to engage with the public on their terms. Pollokshaws, Glasgow Engaging on their terms means going out to businesses, marginalised groups (which could be young people, those without work, black and minority, ethnic groups, disabled people, gypsies/travellers, elderly people, offenders or any number of others according to place and scale). And, perhaps hardest of all, it means engaging with working adults. 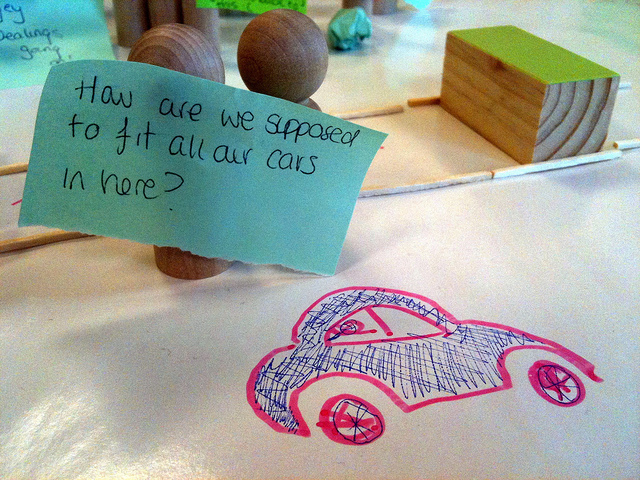 Engaging on their terms is also about being aware of barriers like language. The words we use are usually too professional and inaccessible – just pick up any land use plan or urban design document and you’ll see what I mean. We also need to get over our obsessions with workshops being seen as the ultimate in good consultation. Workshops are useful to enable a relatively small group of people to share and understand different points of view, but they are a terrible way of engaging all the different and diverse views that make up any local community. There are plenty of good examples of engaging on the public’s terms. To name just two: Planning Aid for Scotland‘s weekend planning roadshows at supermarkets, and Glasgow City Council’s ‘Future Glasgow’ conversations with a whole range of people (from youth groups, elderly folk and offenders to neighbourhood festivals) to inform its City Vision for 2061, due to be published this month as a consultation draft. All it takes is some creativity and commitment, and this kind of approach could be the norm across Scotland. How are we supposed to fit all our cars in here? So, what could public sector planners do? An excellent start would be, before publishing Main Issues Reports for Strategic and Local Development Plans, to go out to local communities with a blank canvas – no suggestions at all – to find out what people think the issues facing their communities are. A number of local authorities are leading the way on this, from West Dunbartonshire to East Lothian. As well as helping to create Local Development Plans that are relevant to people’s lives, it also builds trust between the public and their local authorities – something we all know is in short supply. And what could developers and their consultants do? First and foremost, don’t treat Pre-Application Consultation as simply a PR opportunity in the last 12 weeks before a planning application is submitted. Public engagement shouldn’t be designed around lobbying and PR; but a side effect of good engagement is, naturally, that it will be good for the developer’s public profile. The primary aim of public engagement should be to inform and improve the design of proposals, so that it becomes just as much an influence on the design process as more technical concerns like drainage, traffic, biodiversity and ecological sustainability. The Pre-Application Consultation on housing and open space at Clouston Street in Glasgow, for example, shows that this can be done. Engaging with as wide a wide range of people and organisations as possible to inform the design process, rather than simply rehearsing arguments for and against development which the planning application process is designed to handle, is to my mind a far more constructive use of Pre-Application Consultation. Planning Aid for Scotland’s relaunched SP=EED standards for community engagement in planning are useful for raising the bar here. There is an art to ensuring that planning and design respond to people’s aspirations. This is about getting better at listening, engaging and responding. It’s about being open about our agendas; and being open-minded where we don’t have an agenda. And it’s about building trust between the public, professionals and government. Planners/designers need to listen and properly engage, both of which are skills that are too often lacking. People’s aspirations and concerns are just as important a design input as technical things like population projections, flooding and road geometry. We planners and designers are very good at spending a lot of time on those technical things; we need to get better at incorporating people’s aspirations and concerns as an input to the planning/design process. There’s an art to identifying issues and aspirations from what a huge range of people say, and to transfer them into a plan without losing the detail. There are reams of guidance about how to incorporate technical concerns into design and planning – but nothing about how to design and plan in response to community views! can of Irn-BruFor example, the Future Glasgow engagement mentioned above asked 2,700 people about how they thought their city should change (or not) in the next 50 years. Asking a big question like that gets a huge array of answers, from girls in the East End wanting a giant IrnBru can on George Square, to people wanting more power to be devolved to neighbourhoods, to others saying that we need to banish sectarianism once and for all by removing religion from education. How does a planner, policymaker or designer resolve those things into a coherent and responsive strategy? The answer, in my book, is through listening and discussion with the public, seeing yourself as a facilitator between communities and government and the professions, and then playing your proposed response back to people confidently, whilst making clear you’re happy to be corrected. This involves the professional explaining to the public how their issues/aspirations have and have not influenced the plans/designs. This should be a basic courtesy, and isn’t complicated: it’s as simple as providing basic feedback as part of Pre-Application Consultation and Development Plan engagement, through something like a staffed exhibition or an informative website. Equally importantly, we have to be open and honest. If you have an agenda, say what it is: all Pre-Application Consultations are about development proposals, so developers should be clear about the parameters of what they want to do – what’s fixed, and what’s open to change – which could include planning constraints from great-crested newts to the size of the water supply, or legal requirements, or the hard reality of what development will and won’t sell on the market. If there isn’t an agenda, say so: Main Issues Reports, for example, offer the opportunity for the local authority to ask the public what they would like for their area – no need for multiple-choice, just an open question which they can answer as they wish – and which will lead to exciting and enlightening conversations about what will make better places. These things are each vital to gain trust of communities. We may not be able to do everything that they want, but they’ve got to respect us and trust that we’re doing a good job if the system is to work. Meeting the legal requirements for Development Plan consultation and Pre-Application Consultation will not automatically result in good engagement. That doesn’t mean that we should change those legal requirements; I believe we shouldn’t wait to be told by government how to do our jobs. But it does mean that we have to raise our standards of engagement, and link consultation and engagement on planning and design with communities’ ongoing stewardship role in managing places – the community empowerment agenda that comes out so strongly in the Scottish Government’s recent Regeneration Strategy and is the focus of the forthcoming Community Empowerment and Renewal Bill which, according to the Regeneration Strategy, is expected to be introduced to the Scottish Parliament in 2013/14. It’s easy to meet the legal minimum without really engaging. That’s not a criticism of the legislation: it’s up to us as good professionals to do our jobs well. I can think of Pre-Application Consultations that I have been involved with which would have been completely emasculated had they only taken place in the last 12 weeks before submission of the planning application – because critical design decisions about layout, numbers and so on have all been made well before that final 12 weeks. Good Pre-Application Consultation must begin at the very start of the design process before those decisions have been fixed. Equally, good Development Plan consultation should start before the Main Issues Report has been published, so that the Main Issues reflect public aspirations and concerns, not just professional or public sector ones. A few local authorities, like the Dunbartonshires and the Renfrewshires to name but a few, have been doing ‘pre-engagement’ before publishing their Main Issues Report. This is excellent. But I would hope that the second round of Main Issues Reports will be a lot more engaging – going out to people on their terms, as I said earlier – than this first round. That’s an aspiration for the future, not a criticism of recent activity. The legislation is new, and this is a learning curve for everyone. Someone needs to push standards up. It’s all very well individual practitioners like me trying to do our bit; but achieving a general rise in standards needs organisational clout. Fortunately, there are various organisations working on this, including Planning Aid for Scotland, the Royal Town Planning Institute in Scotland, Architecture and Design Scotland, the Improvement Service and the Scottish Government itself. The one that I see as being ideally positioned to lead on this is Planning Aid for Scotland, not least through the new training and accreditation programme that it is building around its SP=EED standards for community engagement in planning. But, as a social enterprise, Planning Aid for Scotland is limited by resources: it’s difficult for them to invest and roll this out as quickly as is required. Let’s hope that the Government and local authorities continue to support them with more resources. 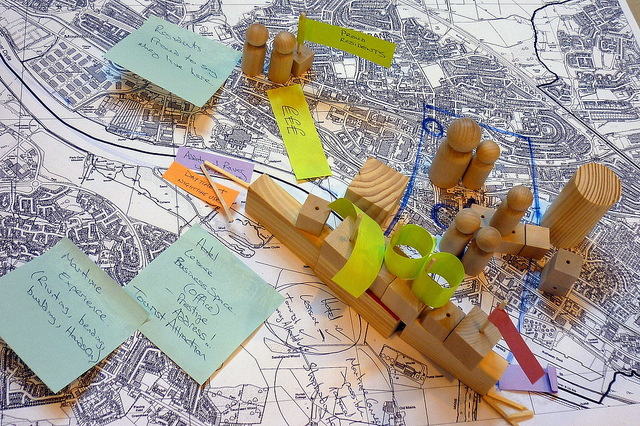 Finally, there is another dimension to community engagement in planning and placemaking. Good engagement should not just be about engaging the public on plans, designs and decisions; it should also be about enabling and empowering the public in the ongoing stewardship of their place. The Young Foundation’s excellent report Design for Social Sustainability, which I recently summarised in this blog post, makes a compelling case for this, and cites examples of where it’s already happening (using the language of co-production, community empowerment and collaborative service delivery). 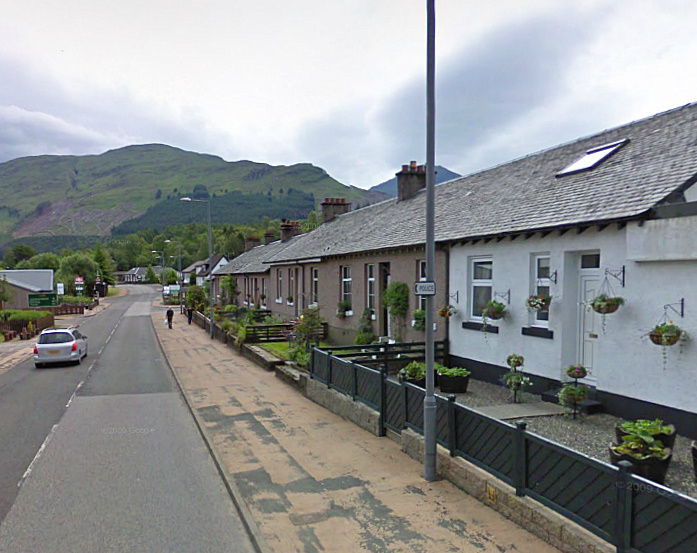 Some places are in Scotland are doing it already, particularly where there are active Development Trusts like Crianlarich. 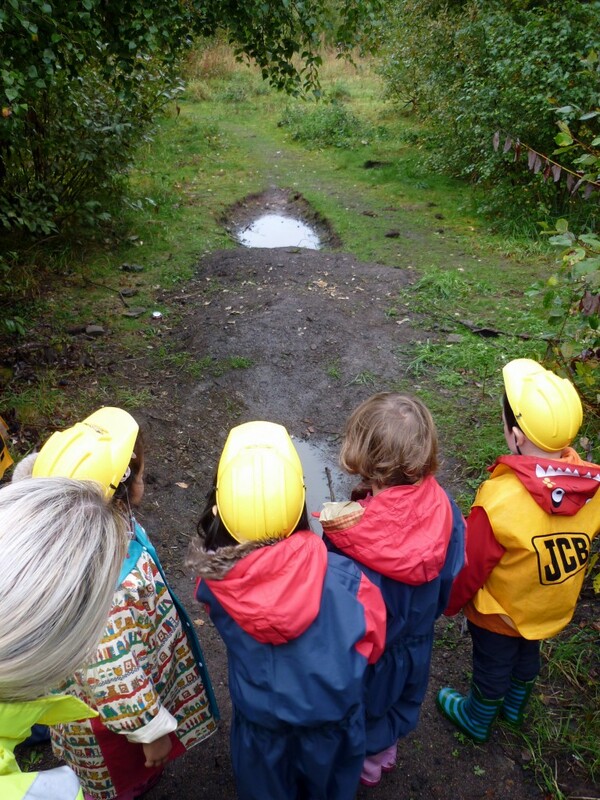 Encouraging more of this activity is exactly what the Scottish Government’s new Regeneration Strategy and Community Empowerment and Renewal Bill are about. It falls way beyond the scope of even our recently reformed planning legislation; but we as planners and designers need to do what we can to support this increasingly strong agenda. Some pioneers – from Architecture and Design Scotland to developers Isis and their partners around Speirs Lock in Glasgow – understand this. We should all be following suit.